What is the one object you bring everywhere with you? Odds are, it's your mobile phone. Why is it that we must always carry our mobile phones? The majority of us carry them in our pockets, handbags, or even in our hands. They stay with us at work, in a restaurant, in social gatherings, on our beds or nightstands, sometimes even in the bathroom! Some of us pay more attention to our phones than to real people in our presence. It is the first thing we see in the morning and the last thing we look at before going to bed. Our phones are what we turn towards when waiting for the bus or when we see someone we don't want to talk to, hoping that they will not see us walk by if we are too busy texting on our tiny machines that have almost become the extensions of our hands. When we forget our phones at home, we feel naked, and when the battery runs out, we feel like a little part of us died for that day. Why? Even a few years ago, this was not the case! Trendy flip phones or those indestructible Nokia brick phones back in the day did not cause this kind of addiction. However, it is time to stop grouping the categories of the basic "cell phone" and the modern "smartphone" - they are parent and child, yes, but they are quite different species. It was a big evolution from one generation to the next. Cell phones are phones in the traditional sense of that word, but without a connection to a wall socket. They were invented to take the home phone everywhere you go. It was an adaption that had to be made as people started to spend more and more time on the go, outside of the home and the office. On the other hand, smartphones are about as close to traditional home phones as racing sailboats are to wooden canoes. Sure, a fundamentally important function of staying afloat on the water and getting from point A to point B through the water is shared among the two types of boat. However, the primary purpose of a wooden canoe is to transport food and other supplies for trade across rivers in developing countries, while a racing sailboat would be used primarily by elite athletes in races across lakes, oceans and even around the planet. Smartphones can be seen as more of a portable laptop, in fact. This may make it easier for us to understand our addiction to our phones. Computers are our gateway to the world of information. Through the internet, we can find the answer to any question or doubt we have, find goods and services close to us and around the world, connect with loved ones and be entertained endlessly. We no longer need to go to a cafe and meet a friend to tell them about our life problems - we can message them instantly. We no longer need to go grocery shopping in the rain - we can order pizza online and have it delivered to our doorstep. We no longer need to write cheques and mail them to pay our bills - we simply pay everything online. More importantly, however, the internet shows us that we exist. As computers became widely accessible to individuals, social networking sites such as Facebook, Twitter, LinkedIn and Google+ (among thousand of other smaller, less popular, or now outdated sites) started to appear. Blogging platforms such as Tumblr, Blogr and WordPress started to become popular, and it became commonplace to have your own website (usually something that included your first and last names in the URL), or at least an Instagram account where you could take photos that made you feel like a true artist. Suddenly, we could customize our profiles, post photos we wanted others to see, and write things that mattered to us personally. And the crazy thing is that people listened! For the first time in history, there were people who would listen to our small voices. Using the internet, you could find people who had common passions with you, agreed with your political opinions, shared your strange interests, and understood your quirky humor. You could exchange thoughts with a stranger on the other side of the world, give advice to others, and one person's words could become viral. Suddenly, every individual existed. It is no surprise that very soon, we started liking our virtual selves and spending more and more time online. We deepened our relationships with our friends from the real world through understanding their interests online, and we made new connections with people near and far. Soon, everyone was online, and "I'll add you on Facebook" or "I'm out of business cards - let me give you my LinkedIn" are now phrases that most of us say regularly. Twitter notifies us of the trending news around the world, and allows us to add our 2 cents into a specific conversation using hashtags. Employers Google candidates during their background checks and consider it strange or even suspicious when someone does not have a profile on this or that social network. It started with us feeling important and social media added extra value to our lives. And now, it's as if our virtual lives validate our literal existence in this world. And so we cannot let go of our phones. But it's not all as gloomy and dystopian as it sounds. Our personal information, our social life memories, professional history, a database of the thousands of connections we make throughout our lives, our thoughts on various topics… Isn't it wonderful that we can now access all of this at our fingertips? And it's not just our own information, but information about people we interact with - our new friends, potential employees, business partners, contractors… Isn't it great that we can learn about their previous experience, potential points we should watch out for or specifically ask about, and have evidence for what they claim to have experience in or believe in? So what do we do when we want to do some research on a potential future professional relationship? LinkedIn is a great summary of someone's professional life. However, it is usually about as 'authentic' or reflective of their true self, abilities, work ethic, and everyday behaviors as an old-fashioned curriculum vitae. This is where online communities that allow professionals of certain professions to prove their skills and show off their past experience come in very useful. All writers keep a personal blog to showcase their skills, all software developers have a GitHub to show off their code, visual artists and photographers have websites and online galleries to display their work, and singers, DJs, comedians, and any aspiring actor or animator would have a YouTube channel. These online 'portfolios' allow us to verify someone's expertise and be confident in their competence to perform the required job. While these sites will soon exist for every profession which can be proven through an online medium, for many, it is difficult to assess whether someone is suited to a specific role or not. Just because they write great code does not mean that they will be cooperative and proactive, and just because they have all the required accounting certifications, doesn't mean that they are open to change. After all, this is why we interview candidates instead of simply hiring them based on their resumes or technical test results. This is where LinkedIn fails us. You may say that LinkedIn incorporated a 'recommendations' section, where past colleagues, clients and everyone else has the option to 'review' the person. Much like hotels, restaurants and Uber drivers, we are now able to review or rate each other. No more posting or bidding. Here's why 2PS is your new favourite destination to find experts. However, there are two problems with this. Firstly, reviews are subjective. I could be having a bad day, or I could just be very difficult to please. And secondly, unlike hotel rooms or a locksmith's services or theme parks, people are more complex and multifaceted. We all go to Disneyland to entertain our equally excited 5 year old children, but we hire IT consultants to help us our companies with our very different business needs. So why would you rely on my LinkedIn recommendation that states "Sam is a trustworthy expert who met all my hardware needs" when you need to move your data into the Cloud? At 2PS, we've built a reputation system that gets rid of these limitations. Our 'rating' system is not linear, as we don't believe that one quality (eg. competency in performing a service) can define a person. As a matter of fact, we have 2 types of points that our network members can earn - Skills Points and Sharing Points. The combination of both these points makes up a consultant's 'reputation' or 'ranking' within the network and determines the extent of their visibility and privileges. This reputation is something that consultants can take with them anywhere they go. It is their real online resume - one that shows not only their technical competency, but their loyalty to their clients, honesty regarding their personal limitations, and ability to work well with other professionals. They can move to a new, unfamiliar country, and not have to start fresh, because their 2PS score allows them to find suitable projects with other consultants in the area. 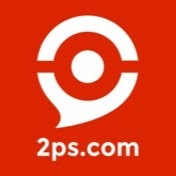 While 2PS is a network specifically for independent contractors providing professional services to organizations, and it connects clients to the best suited consultant for their needs, we think that this kind of mentality and algorithms should be used across various industries. In fact, this concept originated in online multiplayer games.